In a lot of ways investing in the stock market is like gambling in Las Vegas: the whole premise is based on uncertainty, you can win a lot or lose a lot, it can be really exciting, and there are suckers bets that are tempting but should definitely be avoided. And then there is one huge difference: the “house advantage” works against you when you gamble in Las Vegas, but works to your huge advantage as an investor. In Las Vegas, the odds are decidedly in the house’s favor. Over the long run, it is a mathematical certainty that the house will win and you will lose. After a single hand or roll of the dice, you might be up, maybe even up big. But if you play long enough the house’s advantage will dominate and the casino will take your money. However, as an investor, you are the “house”. In investing there will be ups and downs, but over the long term the investor always comes out ahead. Since 1929 there has never been a 30-year period where stocks ended lower than when they started. Go ahead and read that sentence again. If you invest, properly diversify, and stay steady with your convictions that you will come out ahead, you will make money in the stock market. Since 1929 there have been some brutal times, some lasting 10 or even 20 years (stocks were 3% lower in April 1949 than they were in April 1929; stocks were 2% lower in November 1978 than they were in November 1968). Yet in each of those examples and every other, if you hold out long enough, you’ll make money. Basically, you are the house in the game of investing. Since we know you’re the house, what are the lessons we can learn from the casinos in Las Vegas that have allowed them to make so much money? First, offer free drinks and $5 prime rib dinners to your house guests. Just kidding. There will be some days or weeks or maybe even months where a casino loses money. When that happens and the pit boss says, “Wow, we’re down $200,000 on the craps tables this week,” casinos don’t shut down the craps tables. They certainly don’t say “hey, we tried having craps tables, but it didn’t work so let’s stop having craps in our casino.” On the contrary, they keep them open knowing that the more people play craps (or any other casino game), over the long run the casinos will make money. Sometimes the long run will be a day but sometimes it will be much longer. In stock investing, as we mentioned above, the long run could be years or even decades, but if you keep your crap tables open, if you keep investing in the stock market over a long investing career, you will make money. While they don’t say it, casinos want smaller more frequent bets. Imagine two gamblers playing roulette: Mr One Bet and Mr Many Bets. Both are going to gamble $100, but Mr One Bet is going to put all $100 on black for a single spin, while Mr Many Bets is going to put $10 on black for the next 10 spins. With Mr One Bet, given the house advantage in roulette, there is a 53% that the casino wins the $100 bet. However, with Mr Many Bets there is a 57% chance that the casino comes out ahead, because here the gambler is giving the casino 10 chances to let the house advantage work for it. With Mr. Super Many Bets (bet $1 on each of the next 100 spins) there is a 72% chance that the casino will come out ahead. You can apply that to investing, using your house advantage, with dollar cost averaging. By investing over time, sometimes you’ll buy after a market run up when stock prices are relatively expensive, but sometimes you’ll buy after a market downturn when stock prices are relatively cheap. Knowing you have the house advantage on your side, you’ll win this game more often than you lose. You’ll notice that Las Vegas has craps tables, blackjack tables, slot machines, but they don’t have games like trivial pursuit or chess or pop-a-shot. The reason? Casinos know, calculated with incredible precision, what the odds are of them winning. They only pick games which give them a house advantage where over time they are guaranteed to win. They don’t have a casino game called, “try your luck against our grandmaster in chess.” Why? What would stop Gary Kasparov or Magnus Carlsen from coming in, placing some major bets, moping the floor with the casino’s “club pro” and walking away with the casino’s money? Nothing, other than the fact that the casino don’t to play games where they don’t have a house advantage that guarantees that they win over time. How does this apply to you as an investor? You should only being investing in stocks and mutual funds that you are confident will allow you to win over time. The US stock market has over a century of history that shows that over time you’ll always come out a winner. You can’t really say the same thing about the Argentina stock market. Stocks and mutual funds as an investment class have a similarly long history, but Bitcoins don’t so you may want to stay away. Treasury bills have been around for a really long time and are pretty well understood, while peer-to-peer lending is a newer innovation that might work or might crash and burn. The moral of the story is when you’re investing your nest-egg, make sure you put your money in the investments that you know will give you that long-term house advantage. While the casinos only offer games that they know they can win, they do offer a tremendous variety of games that appeal to everyone. 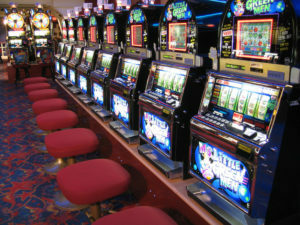 There are slot machines that appeal to one type, table games like craps and roulette that appeal to another, sports betting for others. There is something for everyone, and why is that? The casinos don’t want to put all their eggs in one basket and just appeal to one type of gambler. Also, they don’t know what types of gamblers are going to come in. On Super Bowl Sunday or during the NCAA basketball tournament the sports books do a lot more business. 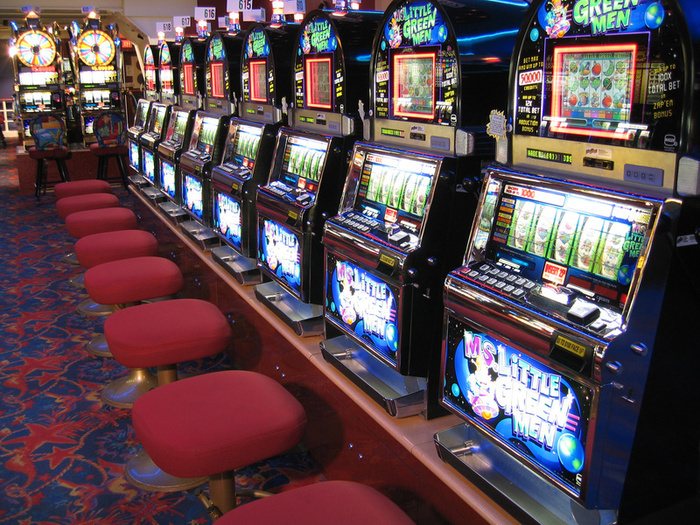 On a tired Tuesday in July it’s the slot machines that are carrying more of the weight. By having different games to appeal to different types of gamblers, they can maximize their business no matter the time of year or how the gambling tastes of their guests change. For investors this is analogous to diversification. There are a ton of investments out there—stock, bonds, commodities, real estate. And even within those there are subdivisions; stocks can be domestic or international, emerging markets, sector-specific. The more you diversify, the more likely you’ll be to participate in the overall growth of the world economy. Certainly some areas will do better than others, but proper diversification allows you to lower your risk while maintaining your higher returns. The casino industry is one of the most profitable in the world because they have the house advantage and swing it like a 2×4. Fortunately, the investment gods blessed ordinary people like us with that same house advantage when investing. So long as we follow some of the lessons of our casino friends, there’s no reason we can’t rake in the investment profits like they rake in the gambling profits.